"Be still an experience the presence of God." Lent allows us to do it. Give up bitterness. . . . . . .. . . turn to forgiveness. Give up hatred. . . . . . . . . . . . return good for evil. Give up negativism . . . . . . .. . .be positive. Give up anger. . . . . . . . . . .. . .be more patient. Give up pettiness. . . . . . . . .. . .become mature. Give up gloom. . . . . . . . .. . .. .enjoy the beauty that is all around you. Give up sin. . . . . . . . . . . . . .. . turn to virtue. This excellent article by Fr. Mark dwells on the meaning of lent. He explains the various facets of the lent - fasting, meditation, scripture reading and reflection, charity, etc. An excellent analysis of the differences in the Byzantine and western churches as to how the Great Lent is conducted. The fact that Enoch was taken alive to the heavens in soul and body is a solid proof that confirms the doctrines of the immortality of the human being and that of eternal life. It is also a calling for man to walk with God in order to win eternal happiness. The Golgotha and erection of cross in the of the church also signifies that God came down from heaven and dwelt among us in this world. This is why the Golgotha is in the middle of the church with us, the common folks, and not in the Madbaha as we normally expect to find it. Celebrating and receiving the Sacrament of Reconciliation can be among the most blessed of human experiences. Yet, there are a number of reasons why we don't take advantage of this Sacrament or we don't celebrate it well. Fear, shame, bad experiences of the past, a long time since the last reception of the Sacrament or bad habits in celebrating it now are all possible reasons for struggles with this Sacrament. .. Lent is a season of being invited by God in a deeply personal way. "Come back to me, with all of your heart," our Lord beckons. "We will," we respond, but we aren’t quite ready yet, our hearts are not prepared. We want to squirm, evade, avoid. Our souls not yet perfect. We are not ready for God to love us..
A great meditation in Malayalam. Our scripture lesson gives us clues about what might be good things to be doing during lent. Jesus suggests generosity (giving alms), prayer, and self-denial (fasting). Jesus doesn't tell us what to do or even why but simply how – how to give alms, how to pray, and how to fast. In this way we avoid the motivation of the hypocrite and discover the deeper meaning of these spiritual practices. Do not let us forget the real object of our fast. We deny ourselves to subdue our bodies, so that our spiritual life may increase. We fast that we may be stronger to fight against our besetting sin, our bad habits, and faults. If you do not know, find out at once what is your besetting sin, i.e., the sin you most frequently commit; fight hard against it, and pray for the opposite virtue every day. The Mystery of Lent by Abbot Gueranger O.S.B. Practice During Lent by Abbot Gueranger O.S.B. Penance consists in contrition of the soul, and mortification of the body; these two parts are essential to it. The soul has willed the sin; the body has frequently co-operated in its commission. Moreover, man is composed of both soul and body; both, then, should pay homage to their Creator. 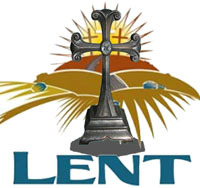 The chief duties of Lent are Retirement, Prayer, Fasting, Repentance, and Almsgiving. My religion is Christianity. There are a set of practices that are associated with the Christian religion, but I think my Christian belief encompasses much more than a set of practices or rules of behavior. Bar Ebroyo depends upon the decision of the Synod of Laodicea and Patriarch Timotheos and Patriarch John III of Antioch to describe the dos and don'ts in the great lent. 'Namaskaram' means PRAYING ON KNEES. While praying, we kneel or bend down before Almighty God. The whole participation of human mind, soul and body in prayer /worship is the peculiarity of orthodox worship. In a human being, there is nothing more beautiful, more attractive than humility. Am I ready to see the glory of God? Following is an analysis of my Lenten experience based on the Gospel readings of the last six Sundays as the guidelines to figure out whether I am ready to see the glory of God. Other than the fasts on Wednesdays and Fridays, there are five more Fasts in a year. The great lent begins on the Monday coming closer, before or after the full moon between second February and eighth March. Since Noah walked with God during his life before the Great Flood, he certainly knew about this key point which made him leave God's job for God. There, we see an equilibrium between God's will and Noah's obedience or submission. Each rubric of the liturgy is meticulously designed in such a manner as to go in tune with the episodes of the incarnation of Christ and in tandem with the tempo of the Nature where we live. It is surprising that liturgical seasons of the church happen more or less in the same timing as that of the natural seasons. During this Great Lent, Jesus is asking us to learn from Zacchaeus to realize our weaknesses and find remedies to them as he did. We must realize our shortness in spiritual life, the falls we had in the past and the sins we committed which together made us unable to see Christ directly. Humility is what we need to become faithful Christians. If we carefully examine ourselves we may observe that almost always we are trying to justify, defend, exalt or praise ourselves in our interactions with others and sometimes even before God, knowingly or unknowingly. This focus on self - our ego - can often keep us from hearing God's voice and prevent us from being faithful in our walk with God. We Syriac Christians observe 50 days lent in preparation for the celebration of the resurrection of our Lord on Easter Sunday. There are a growing body of data from the causal conversations with members of the church indicate that approximately more than fifty percentage of members are not confident on the place of 'fast and feasts' in the liturgical life of the church. To understand what Jesus did at Calvary, we need to start at Bethlehem - actually at Nazareth when May answered to Angel Gabriel, "Yes". This new Lenten devotional will examine important events in the life of Jesus all the way to Easter Sunday. We will cover many of the places Jesus visited while he was on the earth. We will come to know Christ better and to love him more. No one who met our Lord ever stayed the same. The same is true today. May these Lenten devotionals help us all to say, "Lord Jesus, I am ready to follow you!" Passion Week readings and prayers are found in Passion Week Supplement here. Sandhya Prarthana led by H.G. Dr. Kuriakose Mor Theophilose, Metropolitan of Jacobite Syrian Orthodox Church in India. This is the regular evening service; but it is one of the best I have seen. Malankara World Journal is the weekly journal from Malankara World. It is a spiritual weekly for the families. Easy to read. Informative. Filled with useful information. No politics. And, best of all, it is free. You will need an email address to join. We do not send newsletters etc. by other means. You can be absolutely certain that we do not send spam or sell your list to others. Click to subscribe (free) to Malankara World Journal. Lent specific issues of the Malankara World Journal are given on each week's highlights. Why Should We Observe the Lent and Fasting? We should keenly look forward to the Lent- because the purpose of Prayer & Fasting is to defeat the Satan. It is customary since ancient times for the Patriarch of Antioch to issue a lengthy encyclical for the Great Lent exhorting the faithful to observe the lent in its true spirit. Here is one on prayer. While confessing, repenting and seeking forgiveness, we too should prepare ourselves to forgive others. In that way, let us get rid of all the ill-feelings from our mind and purify it, so that the heavenly peace can enter our hearts and stimulate us, to lead a true Christian life. A great tool to help us cleanse ourselves of our hurtfulness. Covers faith, love, forgiveness, repentance, mercy, and more. Without self transformation no one can transform another. Without self transformation no one can make another person happy. Our mission in this world is to make others happy and for that we have to be transformed. Jesus' purpose in coming in to this world was to transform the world and everything in here including humans. Same is the purpose of us being born in to this world and being strengthened through observance of lent. The Church invites us to be part of a feast that surpasses all feasts. We are called to participate in a joy that is given by our Lord through the perfecting of all imperfections. Every moment of joy and happiness in human life without notice could slip away in to a moment of suffering, shame and dishonor. The presence of Christ by way of ‘being invited’ will certainly remove that slippery nature of our moments and make them moments of greater joy and satisfaction. On the first day of Great Lent the Holy Church introduces Jesus as the Creator of Universe. Faithful is on a spiritual pilgrimage with Jesus Christ knowing Him as Creator, Divine healer, Lord of Sabbath, Light of the world, Life-giver, Triumphant ruler and the one and only atoning sacrifice for the redemption of humanity. The pilgrimage culminates in the glorious resurrection of Jesus Christ, hope of eternal life. Our Church through the Holy Fathers designates that each year the season of Great Lent be set aside as a time for repentance. Although repentance is necessary every day and every hour, during Lent our Church invites us to experience repentance in a deeper sense.